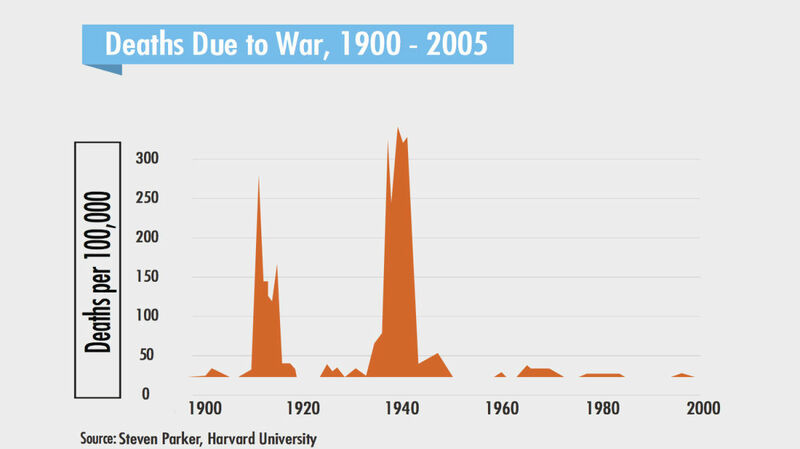 Last week, I shared two key datasets showing that global violence is going down. This week, I’ve got even more proof for you. This is one of the most important areas you can share with your friends and family, especially if they have a negative mindset. Nothing gets us down more than watching violence on television or reading about war and brutality in the newspaper. The truth is, there’s a massive reduction in the amount of violence around the world. The following graph comes from data in the FBI National Crime Victimization Survey. It depicts the rapes reported in the Bureau of Justice Victimization between 1970 and 2010. On this curve, and in the next curve, you’ll see the impact of the World Wide Web on violence. You might hear people decry the loss of privacy in today’s world, but radical transparency is dramatically reducing violence everywhere. Most violent things happen in the dark when no one’s watching, whether it’s an oppressive dictator or someone causing violence in the inner city. As sensors and networks continue to expand around the world, we’ll see violence drop even further. After all, when there’s a danger that your actions can be caught on tape and shown around the world, you’re more responsible for your behavior. Here’s another one that shows the impact of transparency. 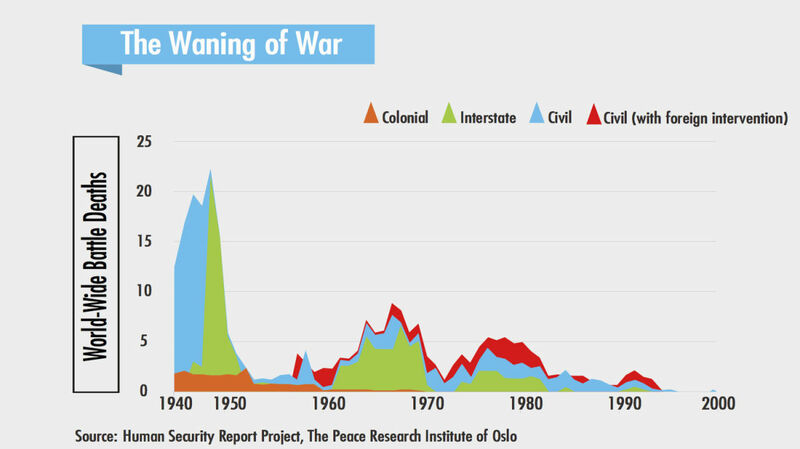 This is trends by armed conflict and the impact on the World Wide Web. We do see an increase in violence here from the 1960s to the 1990s. Watch what happened in 1993 when the Web started reporting this violence, though. This last graph is the rate of non-fatal firearm crime between 1993 and 2011. Again, watch what happens as the World Wide Web gains popularity: gun violence plummets. The Web and level of transparency has an extraordinary effect on what people do or don’t do in public. 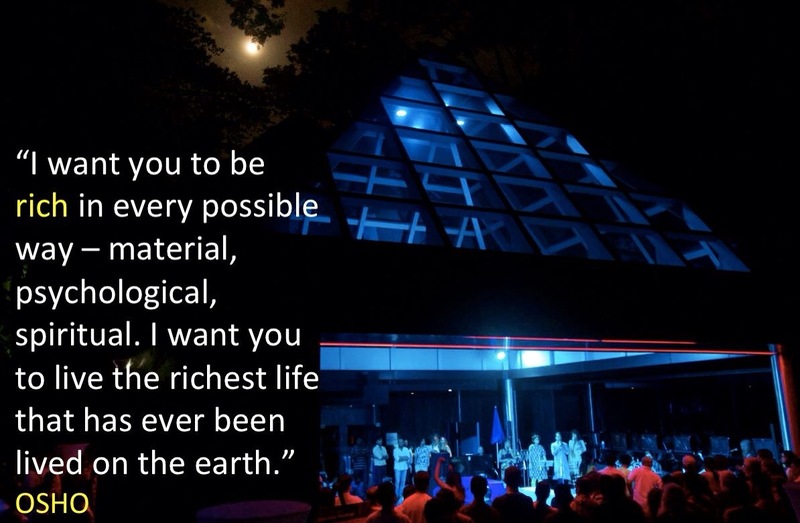 I hope you share this with your friends and family. Because regardless of what the news media will tell you, we are living in a world that is more peaceful and more abundant than ever before. 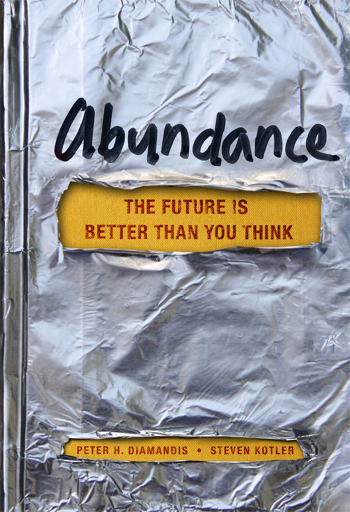 To sign up to Peter Diamindis’ blog, go to: www.AbundanceHub.com. We’re blind to this fact, because our brains pay 10 times more attention to negative news than positive news. I wrote about these cognitive biases in Abundance. Let’s take a look at the data that backs this up.